The past few years have given rise to many homeowners looking to expand their indoor living areas to the outdoors. Even having the smallest outdoor space to enjoy can make a big impact on your overall quality of life. 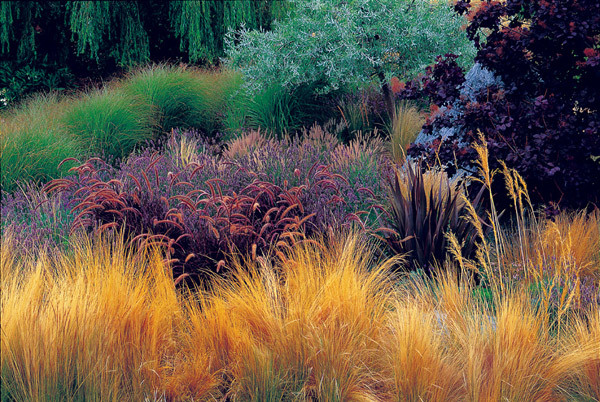 Here are the top landscaping trends for 2016, and make sure to check out the water feature trends for 2016 too! Moving indoor spaces to the out has, and will continue to, become increasingly popular. While basic outdoor patios with simple metal furniture are still popular, they have recently morphed into elaborate outdoor living ‘rooms’, with comfy couches, chairs, televisions…basically an entertaining paradise! The area you used to just grill up hot dogs and burgers has transformed into gourmet outdoor kitchens, with all the bells and whistles; built-in grills, mini-fridges, wine chillers, sinks, cook tops, pizza ovens, dishwashers..even taps for those kegger parties. We’ve even seen ‘outdoor bedrooms’…yes, you read that right…a place you can rest your weary head after a long day of grilling (and cooking) in your outdoor kitchen while entertaining everyone in the outdoor living room. Rough day! 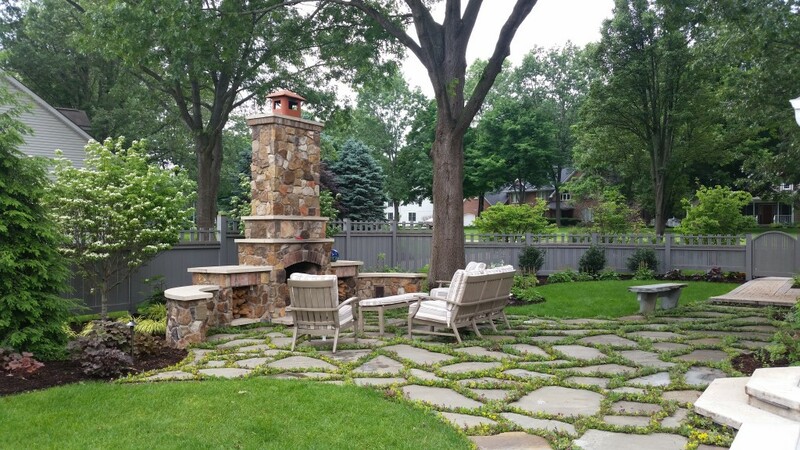 Firepits & outdoor fireplaces are where you may find many of us Michiganders during those perfect bonfire evenings. Firepits range from the simple hole in the ground to the more appealing firepits built out of wall blocks. 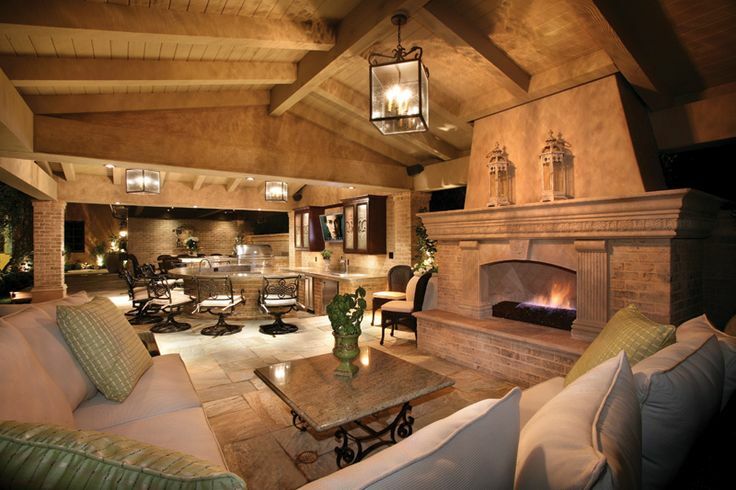 Fireplaces are also becoming very popular with the outdoor living movement. Fireplaces can be small or large, depending on what fits with your style, and they are perfect for ‘just relaxing’. If you’re looking for any type of outdoor living space; from the elaborate outdoor gourmet kitchens, entertaining living rooms, relaxing fireplaces, to the enjoyable built-in grills, firepits, or functional yet comfy patios, give us a call today so we can help you get the most enjoyment out of your outdoor space!